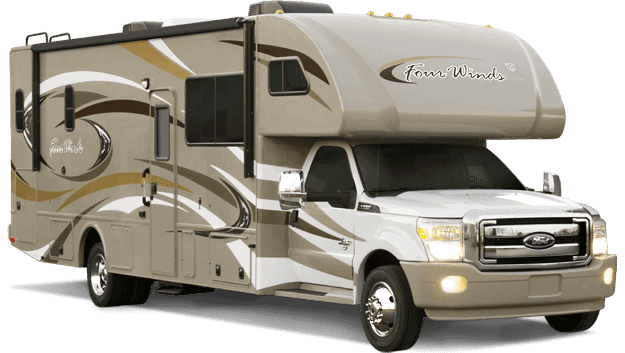 We offer the best in RV Title Loans from our pawn shop in Mesa. We believe they are a great way to get fast cash in you are in need. At our pawn shop, we offer cash loans on all types of Recreational Vehicles with an Arizona Title. Our RV title loans are an asset backed loan so the value of the cash loan is determined by the value of your RV based on today’s market. This enables us to offer you a title loan without any credit or background checks. These cash loans are very user friendly and they offer much more desirable terms than other cash loans which boast extremely large interest rates. Don’t forget we are able to loan cash on all types of Recreational Vehicles including: commercial vehicles, family buses, modified jeeps, and any Class A, Class B, or Class C, RV or Coach. If necessary, if you need to store your RV, we also have the access to secure your RV in our secure storage yard. RV Title Loans are a great way to get the fast cash you need. RVs tend to have a rather high value, enabling you to get a lot of cash. The process works in a very easy manner: we evaluate your vehicle to see its value, and then make you an offer towards your RV title loan. If you accept less than half of this actual offer, we can give you a minimal interest rate of only 5%! Lowest than anyone in the valley, particularly in Mesa, Chandler, Gilbert, and Tempe. We also serve Tempe, Chandler, and Gilbert. We offer competitive and fair title loans through Phoenix Titles Loans, LLC. For more information, visit Phoenix Title Loans, LLC’s page on RV Title Loans!